"Bielsa is not normal. Who wants normal?" thunders Benjamin Mendy, in his piece for The Players' Tribune. "What if boring is where you gain the most advantage?" Boring? 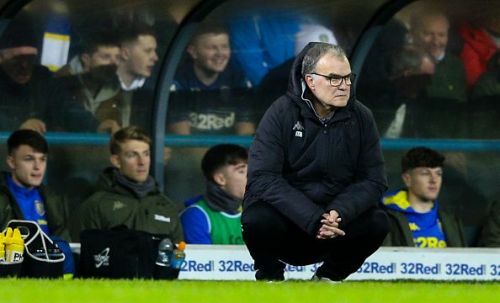 Marcelo Bielsa? Surely, something must be wrong if Marcelo Bielsa is being boring. After half-a-season of managing in England, and making Leeds United dream about the Premier League again, El Loco is back, in his truest form. As El Loco. Three straight losses, one in the FA Cup, had snapped a run of seven straight wins in the Championship, and up next, Frank Lampard's high-flying Derby County were to visit Elland Road. Bielsa was being questioned. Was the typical second-half-of-the-season meltdown about to derail another campaign for a Bielsa team? Those doubts were put to rest. Goals from Kemar Roofe and Jack Harrison gave the Whites a comfortable 2-0 win. Those 90 minutes were the only ones that can be adjectivised as 'comfortable' in the past week for Leeds United. Around those 90 minutes, either side of them, all hell was breaking loose. Spygate, they called it. Lampard, in his first season as a head coach, was fuming. He was having none of Bielsa appropriating the furore to cultural differences. In South America, it was normal to send people incognito to grab inside information on the opposition, Bielsa argued. "I have broken no rules," thundered the maverick Argentine in charge of Leeds. But Lampard was not taking any explanations. Derby were training on match tactics, formations, defensive shape, set-pieces, all those things teams do in training before big games. Bielsa's man being there amounted to cheating, Lampard argued, despite saying cheating was a big word. 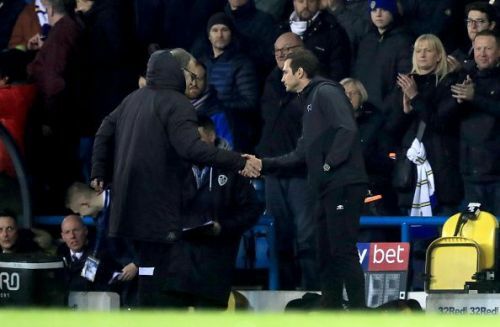 So, after the 2-0 victory, when Bielsa called a press conference on Wednesday evening, the general sense was that he would be announcing his resignation, particularly after Leeds had proceeded to remind their manager about the club's own integrity and ethics. But, what we got in the press conference was unhinged, unabashed Bielsa. Peak El Loco, as some would like to put it. He started off with an admission. An admission that the spying on Derby's training sessions took place at his behest, not his clubs. An admission that the spying was something he did before ALL games. Derby weren't treated as anything out of the ordinary. "I might not know English, but I know about all the 24 teams in the Championship." And then, in typical Bielsa fashion, there were no half-measures. He went on to shatter the narrative that spying on Derby's training was to gain an unfair advantage. "I authorise the spying to ease my anxiety. It's just me." to gain an unfair advantage, it was to gain additional information after his staff had put in 300 hours of work analysing all of Derby's games this season. Formations, players, set-pieces, in-game tactical switches, where each player plays and how often, everything was covered. Now, going public with all his analysis might be viewed as going overboard. Every club at a level as high as the Championship employs analysts, who put in the same man-hours as Bielsa's staff do, and quite possibly, with the same outcome. But going overboard is the Bielsa way, isn't it? Isn't that why the late-season syndrome hits his teams? Going overboard with the pressing, the physicality, such that the players have got nothing left in their tanks when the business end of the season arrives. The question here isn't that - the question is whether Bielsa gained an unfair advantage through the spying. Based on the resounding takedown of Spygate that the Argentine indulged in, how can you believe that he was gaining any kind of advantage? He asked those present in the room to pick out any Derby game at random, and then proceeded to explain how Derby functioned in each of those games. The brilliant Carabao Cup win at Manchester United, the proceeding loss to Chelsea in the same competition, the league game against Bristol City, Bielsa had it in his fingertips. "They played a 4-3-3 formation 49.9% of the time"
These things are not committed to memory, but used as guiding lights for his players. He proceeded to even break down what each gesture before Derby's attacking set-pieces meant. Derby's individual players weren't spared. The journalists present in the room were awestruck. Harry Wilson didn't even play. Yet, Bielsa knew everything about Wilson's time at Derby County. Which positions he played, how much time he had played in each of those positions, how effective he'd been in each of those positions. Hell, he even knew what Wilson meant when he was raising both hands before a corner! That doesn't seem like something you can do with just hiding in the midst of a few bushes on the day before a game. The level of detail Bielsa went into doesn't scream of a man who was cheating. In fact, it was just the opposite. It reeked of a man who had the utmost respect for the competition his side were playing in. The level of knowledge that Bielsa exhibited was an education. You cannot deliver education unless you are fully educated in your subject yourself. Bielsa was. Educated. Every bit the man that left Pep Guardiola awestruck after a Copa Del Rey Final in which Guardiola's Barcelona had beaten Bielsa's Athletic Bilbao 3-0. "You know more about Barcelona than I seem to," Guardiola had exclaimed to the Argentine who was one of his mentors when he was still coaching Barca's youngsters at La Masia. "To me, it was useless information because it came after they scored three goals," Bielsa exclaimed. He may have gone overboard, it may not be widely accepted as the ethical thing to do, but Bielsa isn't the first to use this kind of spying. Andre Villas-Boas admitted to going incognito several times while working for Jose Mourinho at Chelsea. The same Chelsea that Frank Lampard made a name for himself at, being the midfielder par excellence that he was. It was going too smoothly, this Bielsa reign in England. It needed spice. Frank Lampard provided that, with his attack on the Argentine. Bielsa took the attack, delivered a counter-attack so sweet, now the world knows Derby County's tactics. Marcelo Bielsa's Leeds will lose more games, of course, they will, but that won't be for a lack of knowledge on the oppositions. They will have enough of that, even without the spying. The spying was authorised to calm his anxious self. "I do it because I am stupid," Bielsa says. Well, not for nothing is he called El Loco, then. The Premier League could do with such a character amongst its myriad spread, and Bielsa's Loco Leeds are in pole position to do just that.